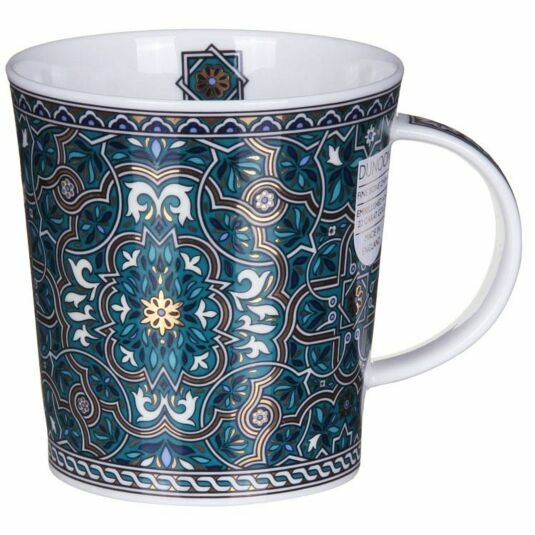 The ornate pattern on this elegant mug from Dunoon shows a clear influence from Moorish and Middle Eastern design. A design by artist David Broadhurst shows an interlocking pattern of geometric lines is printed on a deep teal background. The pattern is highlighted with white and yellow shapes. 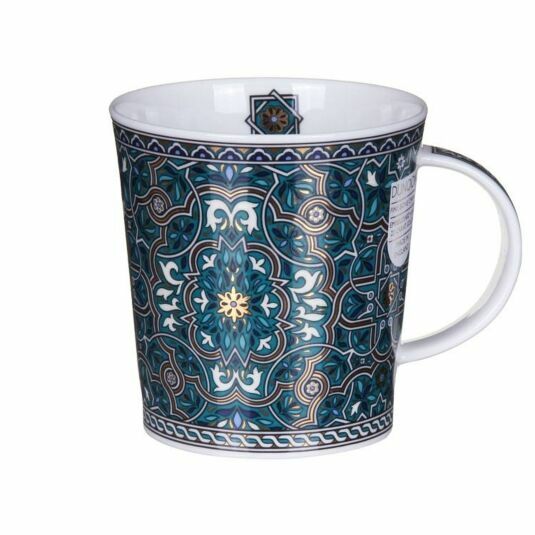 This mug imparts a sense of opulence, with overtones of the rich background of Islamic history. The deep colours and simple shape of this mug make it a pleasure to drink from, and it will make an inspired gift for anyone interested in history or design.